Online banking is rapidly becoming something that we all do. This has helped online banks to gain a toehold in the financial industry. Online banks differ from general online banking in that they are Internet-only banks that are not necessarily associated with the brick-and-mortar bank where you do most of your banking. Online banks have pros and cons. They may be a useful tool in your financial toolbox but are likely not to be the only bank you use. Online banks are banks that are operated entirely through a website. Although they may be affiliated with a parent bank that has branch offices, the actual division of the online bank is web-only. Online banks may or may not offer telephone banking, ATM use and other services available through traditional banks. Online banks are commonly used for high-interest savings accounts but are beginning to offer checking accounts, loans and other bank products. Higher interest rates on accounts. Online banks have lower overhead costs than traditional banks do. Most of them pass this savings on to their customers in the form of high interest rates. This means you may be able to make more from your money with an online bank. Lower interest rates on loans. Another way these banks may pass on savings to you is by offering lower loan interest rates. Lower minimum account balances. You may find it easier to avoid banking fees with an online bank because the online bank often requires less money to be kept in the account. Of course, this varies depending on the type of account that you open and the bank that you are working with. Easy twenty-four hour access to your account information. This is the nature of the web. Of course, it’s increasingly common with Internet banking through brick-and-mortar banks as well but it’s a staple of the online bank. Limitations on accessing your funds. You can’t just walk into an online bank and withdraw your money. Transfer of funds to another more accessible account can take several days. Limitations on depositing your funds. Likewise, you may find that it takes a few days to deposit funds into your online bank account. This isn’t always true since some online banks offer quick electronic transfers from other banks. However, if you have to mail in your deposit or transfer through a slower online process then it may also take a few days to see your money deposited. ATM costs. Some online banks allow ATM access with other banks at no charge. However, many charge a fee so there is often no cheap/free ATM option with these accounts. Issues around stability. As with other ecommerce stores, an online bank may have difficulties remaining open as a stable business over a long period of time. For this reason it is especially important that you make sure that your accounts with the bank are fully FDIC insured. Concerns about computer security. Anytime that you bank online you open yourself up to risks associated with computer security. This is true for online banking with your own bank as well as with online-only banks. Banks put a lot of security in place to protect you but this is always a risk. Don’t make it your primary bank. Stick with a traditional bank for your ATM and main checking accounts. Use the online bank for high-interest savings and low-interest loans. Read reviews carefully before choosing the bank. You want to really shop around to make sure that you’re selecting an online bank that’s right for you. Start small. Pick a single short-term product to test out with the bank to make sure that you like working with them. For example, you may get a 6-month CD to start saving with this bank. Choose a bank that does offer checking as well. If you’re going to keep using the bank then you should set up a small checking account and maintain the minimum required balance. This allows for faster transfer of funds if needed. Read the fine print. It’s always important for you to know every little detail of your bank account. This is definitely true for an online bank account. Be smart about where you access your account. Don’t access the count using public Wi-Fi connections or otherwise compromise your computer security when banking online. Contact the bank by phone if there is an issue that needs to be discussed. You can actually speak to a person even though there isn’t a physical bank for you to walk into. Take advantage of this when you need to solve a problem. 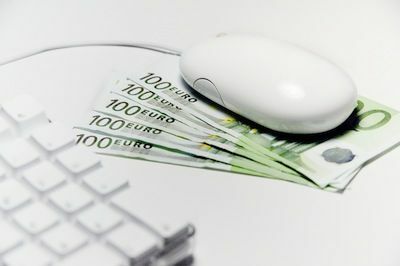 Computers have given us the option of having online-only banks. Do you think that the proliferation of smartphones and increasing interest in mobile banking will one day lead to mobile-only banks? Great post! I think online banking is just a different way of banking and I beleive it is in everyone’s best interest to try it out. I’ve been banking with Manulife Bank since 2002 and it is the only account I have. The problem with conventional bank account is they pay you no interest and charge you fees. This is profitable for the bank, not you. The bank account is necessary. Why not turn it into a profit center instead of a cost center. I think people use conventional bank account because it is comfortable or they do not know any other way. There is a high price to pay for comfort, convenience and lack of awareness. Do what’s right for you and explore other forms of banking like high interest banking, not necessarily what’s right for the banks. •	Limitations on accessing your funds: I think it’s actually easier to access funds from my online bank accounts. In order to make a transfer or get cash using the branch, it has to be both nearby and open. Even when I banked with brick and mortar banks I used their online services and ATM network to access my funds at any time. Branch hours and locations are extremely limiting, not to mention costly to banking companies! •	Limitations on depositing your funds: Again, I almost never go into a branch to make a deposit – even if I can make the time to go into a branch and wait in line in the middle of my work day, it can still take just as long for a deposit to post to my account as it does for me to mail it in or transfer it from another account online. Are there brick and mortar banks that offer immediate full deposit? I did a quick informal poll of friends and family and no one I know has that feature. •	ATM costs: Actually, many online banks, PerkStreet included, utilize the STARsf ATM system(http://www.perkstreet.com/atms.aspx), which is fee free. Plus, with over 37,000 ATMs located nationwide it’s actually the largest surcharge free ATM network in the country. •	Issues around stability: No argument here, although I don’t think it’s limited to online banks. Always make sure your accounts are fully FDIC insured. •	Concerns about computer security: Again, I don’t disagree but don’t think this is a drawback to online banks. You make a good point that this is something to consider with any sort of online account access. No matter where and how you choose to bank, always do your research! Read the fine print, read reviews carefully, be smart about where you access your account… this is fantastic advice and should be heeded in any banking case, even business banking!